A-E There are 144 products. 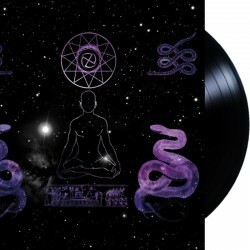 https://wtcproductions.bandcamp.com/album/amarta-formulas-of-reptilian-unification-part-ii The vinyl version of Amarta comes with heavy vinyl, A2 sized Poster and a 20 pages booklet (29,7 x 29,7 cm). Vinyl version of Acherontas' latest opus, Ma​-​IoN (Formulas Of Reptilian Unification). Comes as massive double LP in a gatefold cover with a LP sized booklet attached to it. https://wtcproductions.bandcamp.com/album/theosis This vinyl re-issue of Acherontas' second full length album, Theosis, comes as a Gatefold Double LP, with a golden colored silk screen print on Side D and is limited to 500 copies. https://akitsa.bandcamp.com/album/credo black vinyl version. deluxe gold and black metallic printed sleeve with insert. Alkerdeel – De Speenzalvinge on 2LP gatefold black 180gr wax. For the first time on vinyl, limited to 350 copies. Remastered for vinyl by Maurice De Jong (Gnaw Their Tongues). 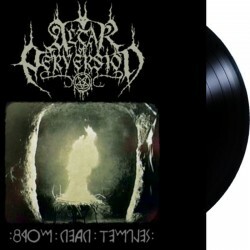 https://www.youtube.com/watch?v=ehUalIAeqwk Gatefold LP with additional 7″ and insert. Re-release of the amazing 2001 debut album. ESSENTIAL record! https://altarofperversion.bandcamp.com/album/intra-naos 3LP set. Triple gatefold jacket. 8-page libretto. 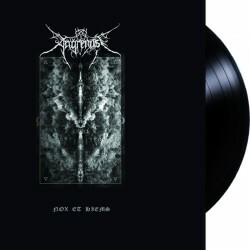 https://angrenost1.bandcamp.com/album/nox-et-hiems Double vinyl version of "Nox et Hiems". Limited to 250 copies. https://infernaprofundusrecords.bandcamp.com/album/mirties-metafora-2 ANUBI "Mirties Metafora" cult Lithuanian avantgarde black metal album originally released in 1995 on cassette. Gatefold jacket with matt lamination, black polylined inner sleeves. Limited to 333 handnumbered copies. 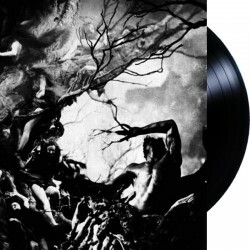 https://archgoat666.bandcamp.com/album/angelcunt-tales-of-desecration Wwhite/black marble record. Comes with screen-printed ARCHGOAT logo on side B and 12"x12" 8-page booklet.